we'll just go over a simple way of its use. 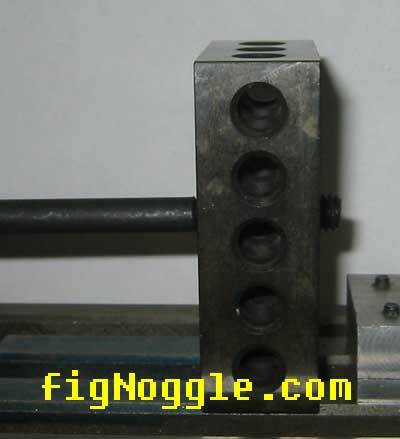 while this is how step blocks work, this is NOT the right way to hold down a workpiece. the arm should be angled the otherway! but how do we do this? the step block is too short and it's the tallest one from our set? ever wonder what 1-2-3 blocks are for? well, since they're ground to fairly accurate dimensions, you can use them for dimensioning or creating offsets at 1", 2" or 3". 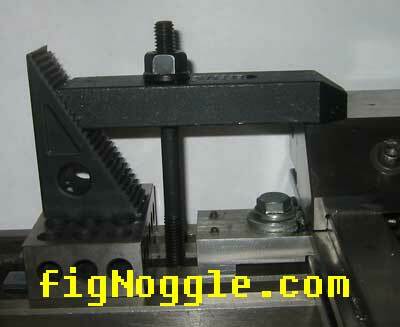 here we show that our bolt from the step block set threads through the block. sometimes you need to lift the step block. here's one use. the 1-2-3 block still needs to be mounted to the table! in v1 of our cnc conversion, we had to get creative with our workholding. 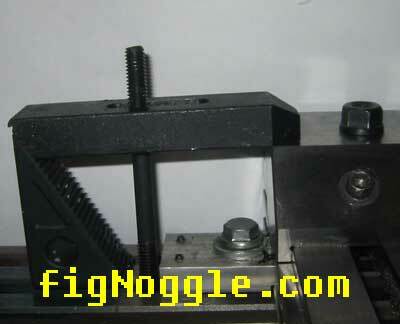 take a look at how we held down the Z-axis brackets. 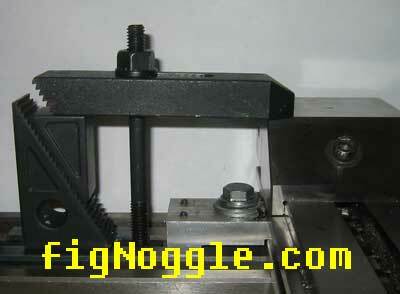 step clamps are used here to hold a workpiece to a rotary table. step clams secure v-blocks to the table and a leadscrew is held down to the blocks.